However, these targets are not being met at present and leading a group of MPs is warning that these degrees should be given special treatment. 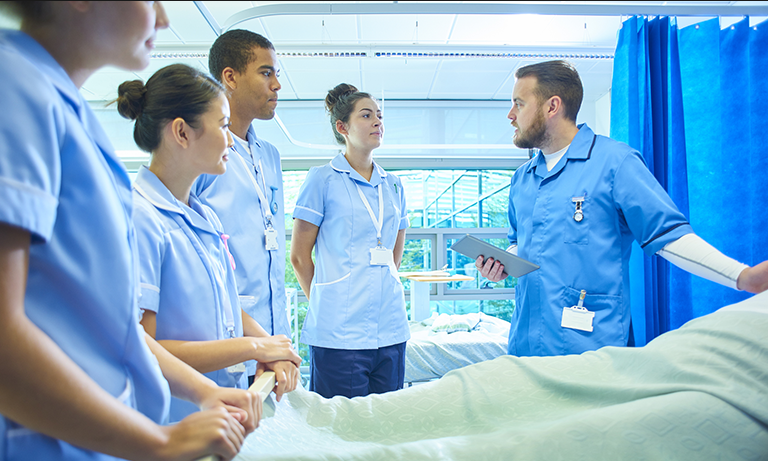 A report created in the summer of 2018 highlighted some obstacles that are preventing the NHS from delivering on its target number of nursing apprenticeships. The report revealed that many people are put off training to be a nurse. Issues highlighted included the training needed for nurses when they weren’t on the job and the additional costs in terms of salaries given to apprentice nurses. At present, the funding band for NHS nursing apprenticeship is set at £27,000, with recommendations that it stays at this level or is, indeed, increased at some point. The report also made reference to calls that the NHS should have more flexibility when it comes to spending the levy funds. Overall, nursing apprenticeships have been proven to be unrealistic as a route into the nursing profession. The ambitious NHS targets will not be met as a result. The NHS has been accused of failing to pay sufficient attention to apprenticeships, with suggestions that they should be amended to meet the current needs of the NHS and its patients. To make these changes, ministers need to instil greater flexibility in the apprenticeship levy. This will ensure that the apprenticeships work for the students and for the NHS alike. So, what was the target that the NHS was supposed to meet when it came to nursing apprenticeship degrees? The target was set last year at 2.3%, a number which the NHS was nowhere near hitting. Between 2017 and 2018, only 13,800 apprenticeships started compared with 19,820 two years before. There’s little argument that these apprenticeships can and have changed lives across the country. They also continue to help the NHS get the correctly trained and skilled nurses it so desperately needs. However, unfortunately, with the inflexibility of the funding band set at £27,000, the NHS simply doesn’t have the money to cover the cost of the training needed to meet the current targets. Moreover, if the funding band is reduced for nursing apprenticeships, this could result in the training not being delivered at all. The NHS doesn’t have the ability to spend precious time and resources in building the nursing apprenticeship programme across the country. Overall, it’s the cost of delivering these nursing degrees that appears to be the greatest roadblock to the NHS hitting its apprenticeship targets. The publishing of this report has led to the realisation that the NHS apprenticeship levy will require special treatment to increase its flexibility. To get more people into the scheme, it has been suggested that backfill costs are covered for apprentices to encourage more people to sign on to the scheme via the NHS rather than through a university.